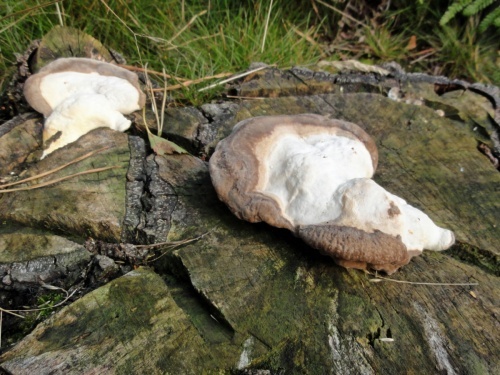 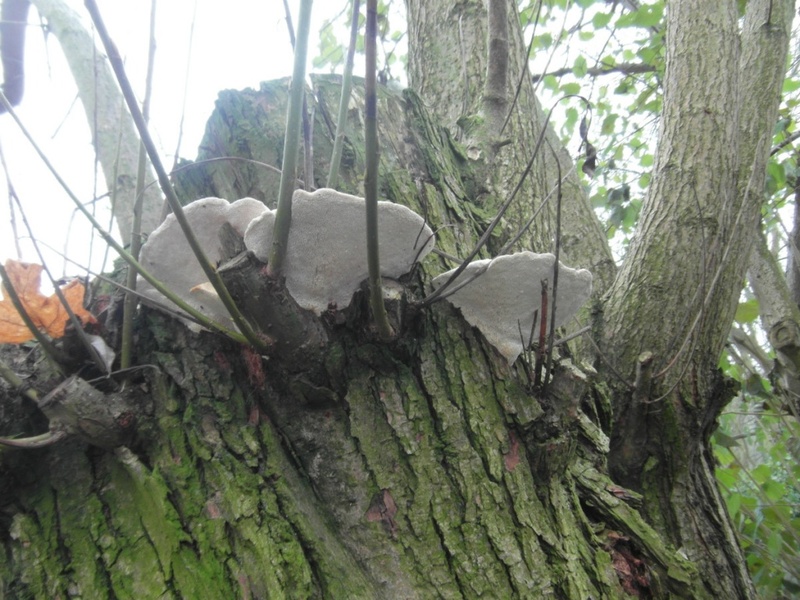 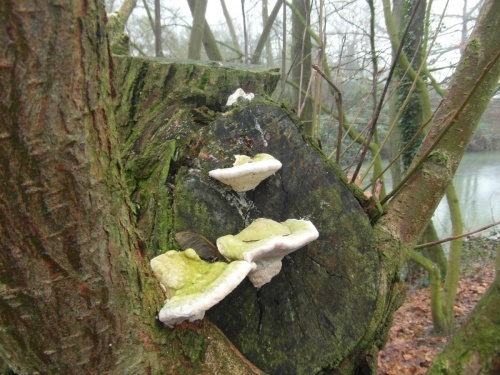 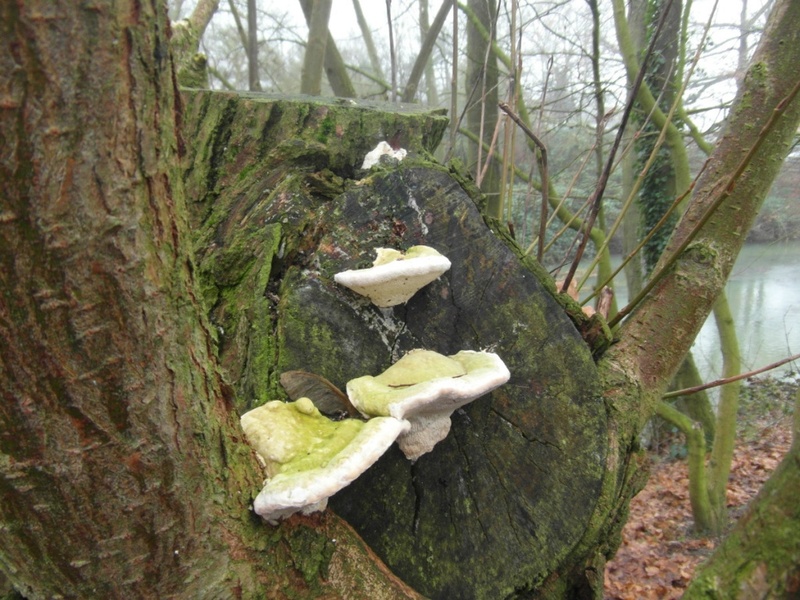 This is a polypore that causes a white rot. 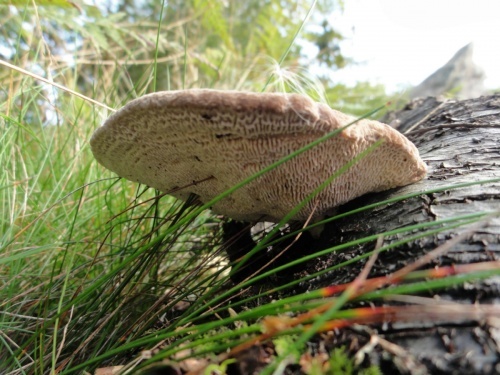 Fruit bodies are 8 to15 cm in diameter and semicircular in shape. 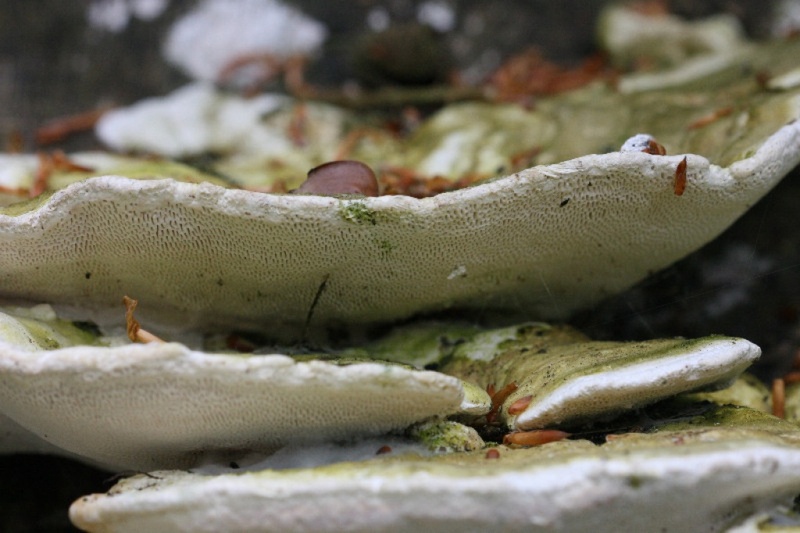 The upper surface is usually grey or white, but may be greenish in older specimens due to algal growth. 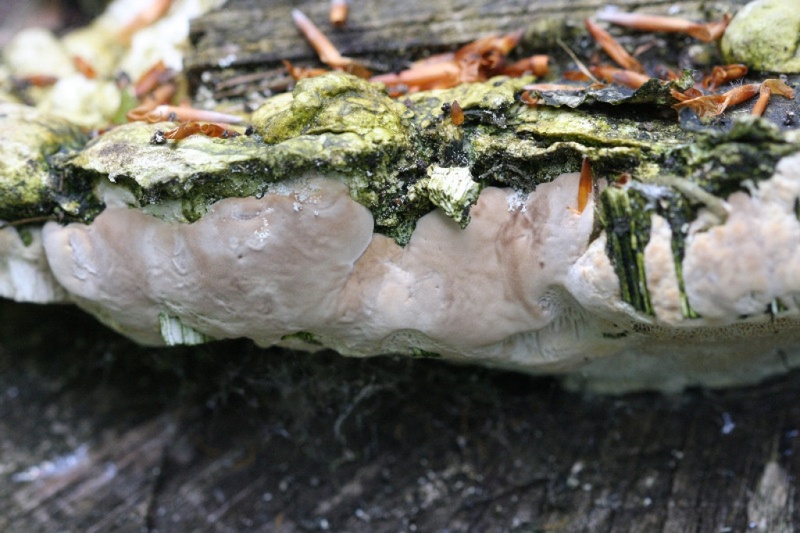 Elongated pores are located on the under-surface. 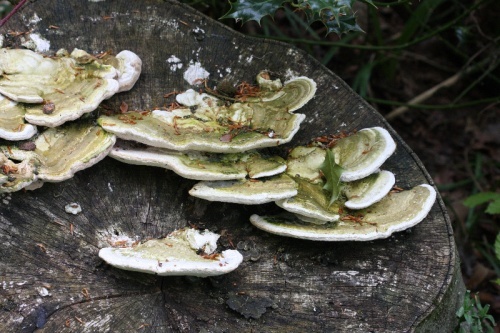 Often found on beech stumps but also on the dead wood of other hardwood species. Widespread and fairly common in Britain.